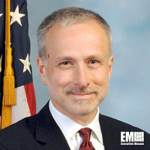 In January 2014 James Baker was appointed the general counsel for the FBI. He was an associate general counsel for Bridgewater Associates prior to his current appointment. Under the attorney general’s honors program, Baker joined the Justice Department‘s criminal division in 1990 as a federal prosecutor for the division’s fraud section. He then joined the Office of Intelligence Policy and Review in 1996 and was appointed as head of the organization in 2001 where he helped develop, coordinate and establish intelligence and counterintelligence national security policies for the department. He also provided legal and policy advice on national security to the attorney general, the country’s intelligence community and the White House, as well as oversaw the intelligence community, including the FBI, for the attorney general as OIPR head. He became the assistant general counsel for national security at Verizon in 2008 before he returned to DOJ in 2009 as an associate deputy attorney general for national security issues, such as cybersecurity. Baker became a fellow at the institute of politics at the John F. Kennedy school of government at Harvard University and a lecturer at Harvard Law School in 2007. Baker is a recipient of various awards, including the George H.W. Bush Award for Excellence in counterterrorism, National Security Agency‘s Intelligence Under Law Award, the NSA Director’s Distinguished Service Medal and the DOJ’s Edmund J. Randolph Award.